Someone told me the other day that I have so many talented friends. I laughed and soon worked out that they had been reading Every Woman Project and were commenting on the inspiring subjects I've had the pleasure of interviewing. It made me smile because it's so true. When I started this series I didn't really have any ideas about who I would interview but each week someone new will pop in to my head and through the last 10 weeks or so I'realised that I have managed to surround myself with some pretty wonderful women. Women who have dreams and run with them, women full of wisdom, grace and women who are paving a way. I'm seriously excited for what's ahead. I couldn't wait to interview Brianna. Truth is, I don't know if it's possible for anyone to be as naturally gifted as she is. Sporty, creative, smart, musically gifted, funny - it's fair to say her talents span across most fields. But I think what sets her a part most is she hasn't let those gifts go to waste. It's a quality I truly admire in people. 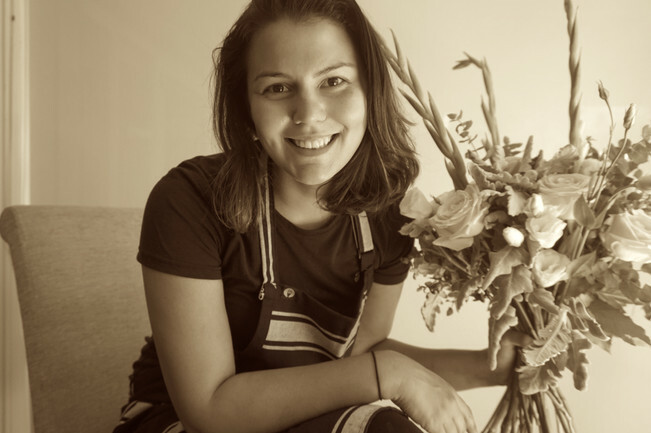 She is driven, dedicated and chases after her dreams which is exactly what happened when she started Brushwood Floral Design. After an incredibly difficult time in her life, losing her beautiful mother unexpectedly and suddenly he found a creative outlet to help her through her grief, pushed forward and carved a new path for herself. 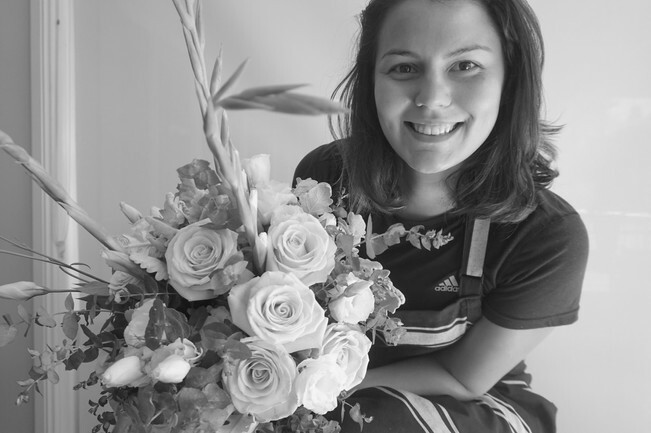 Starting her career as a High School teacher, Brianna now uses the first part of her working week to mould young minds while the rest of the week, she is creating floral magic. I had the opportunity to ask her about finding her passion even after starting a career, how it's helped her through the hard times and what's in store for the future. 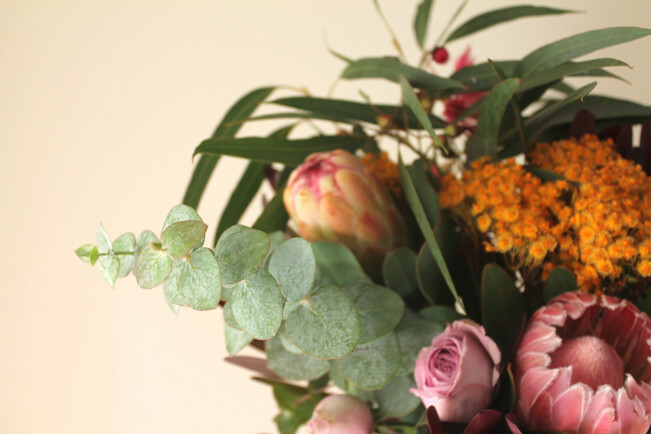 How and why did you get in to floristry? Growing up, I never really understood the value of a bunch of flowers. I always saw them as a fleeting gift. However, one year when I was about 20, I found myself running through suburbia picking flowers (illegally… eek!) to create a bouquet for my mother on Mother’s Day. Fast forward a few years and I very sadly and suddenly lost my mother. While my whole world was upside down and, I was helping my father plan a funeral, I told him that I wanted to be the one to do the flowers, as a final gift to my mother. Even though it was a difficult time, handling and arranging flowers became my coping mechanism in those few days. I’m getting teary while talking about this.. oh goodness. In the months afterward, my aunties supported me and helped to cultivate my new passion by sending me to floral workshops. Then, one Sunday night (I remember it so clearly) I was curious about short Tafe courses in floristry. I had already studied to be a teacher, and was just starting my career, so to be honest, I wasn’t sure if I wanted to go and study again. I was sitting on my bed, looking at Tafe courses and noticed there was a 3-month course starting in 6 days. I called my boyfriend Paul (who was just a friend at the time) and told him what was going through my head, and he said “do it”, as well as a bunch of other beautiful and encouraging things. So I expressed my interest with Ultimo Tafe. The following Saturday morning at 8am, I was the eager first student sitting in a floristry classroom with a coffee cup in hand. There are some other cool details about how the class filled up in minutes after it was posted online, because it was free due to a Government initiative. I didn't even know this when I originally expressed my interest. Looking back, God’s hand was obviously all over it. The window of opportunity was just a few minutes, it was free AND it was a creative outlet for me in the first year of losing my mum. It was the most amazing 12 weeks of learning and challenging myself. And also.. in short, floristry basically helps me through my anxiety. Wow, that's quite a journey to finding your passion. 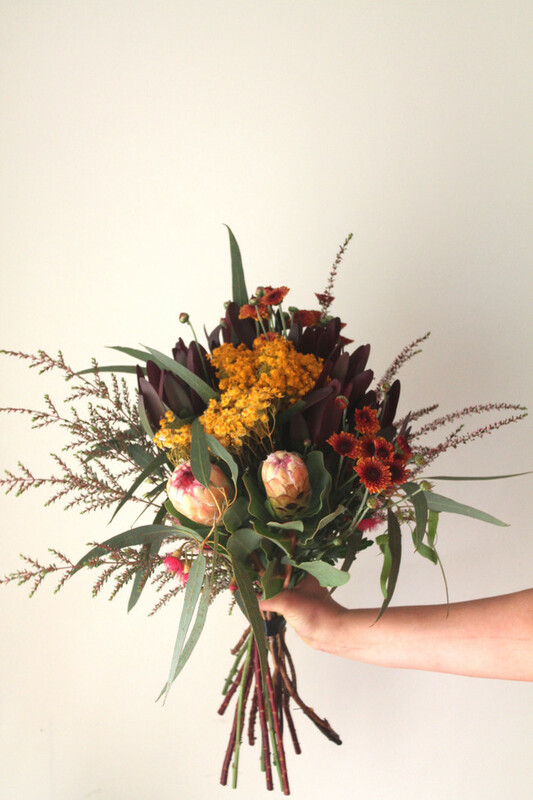 How would you say that floristry or other creative outlets help us through anxiety? I find that when I focus on a task that I really enjoy, I will dive into it and put a lot of my energy into it to the point where my other worries are put on hold. Plus I am surrounded by God's stunning creation. There are so many interesting foliages and flowers, which makes for a unique floral experience every time. I also get an amazing feeling of satisfaction and accomplishment after creating an arrangement, that's always motivating and uplifting. Also music + nature = positive mindset. Firstly, I love working with natives, so if you don’t like them, you probably should hire someone else... just kidding… but seriously. Brushwood evolved in a two-week school holiday break when I had way too much time on my hands. At that time I was only a casual teacher and I didn’t get holiday pay. I’ve always been resourceful, and have made money in weird and wonderful ways E.G. washing cars in the neighbourhood with my brother, buying clothes from op shops and selling them online, singing at weddings etc. But Brushwood was going to be lit and legit. My friend was having a baby shower and she asked me to help her with some flowers. From then on I started thinking, what if I could do something I love and make money from it? My entire break was spent creating a website, getting an ABN, setting up an Instagram, ordering business cards. The whole kit and kaboodle. To anyone who thinks they can make cool things, chances are that someone else will probably think it’s cool too! You don’t have to do your ‘creative thing’ full time, but a side business makes for a pretty awesome balance of work and play. I know it sounds cliché, but you’re the only person who is living your life, so you may as well fill up your schedule with things that excite and inspire you. Who knows? You might make money doing it. Floristry adds value to my life. I would encourage you to find what adds value to yours. Do you ever see it becoming something you do full time? Absolutely! I have orders that I am currently turning down because I am so busy with teaching. I have a crazy work ethic, so I think I will struggle when I need to drop one career and pick up the other full time…or who knows, I might just live in constant limbo until I die. But seriously, I would love to do it full time, I would just need to be very wise about the when and why. It’s a scary thought, but one that really excites me. I love flirting with the idea of having an awesome shop front with greenery spilling out onto the sidewalk. Oh, I don't know.. Somewhere in a bustling inner-west neighbourhood where everybody rides bikes. The people smile as they come in and I know them by name. I have a killer apron, and my workspace has amazing exposed raw timber shelving made by my dad. Oh there's also a coffee shop next door, and its good and plants EVERYWHERE. You're also a teacher, what drew you to first get in to teaching? I am a teacher…but what drew me to studying it can be described as playing life by ear. It was a guessing as I go situation, which doesn’t sound too romantic, but teaching is an awesome career. I never really grew up knowing what I wanted to do. During my undergraduate degree, I was drawn to sociology I loved learning about people and why we are the way we are, but I also picked up a few English classes. When that degree finished, I always thought that eventually I might do teaching. So sooner rather than later I did my Diploma of Education, a few pracs and a year later I was a qualified High School English and Society and Culture teacher. It is challenging but I enjoy the environment, and connecting and encouraging young people. Do you think the two careers could mesh together somehow? That would be awesome. Young people can be frustrating, but I think it would be a great program to run for people struggling with their mental health. It would be interesting to see if it can make a difference for them. Brushwood is currently involved in a cool project coming to Campbelltown in South West Sydney. It will be an awesome collaborative creative space under the direction of Gemma from Eclectic Nest, and will include a maker’s market and workshop, a dance/yoga studio, fresh flowers, and a café. I’m hoping to operate from there on a part time basis. My teaching is contract to contract, so that’s always changing. What a great initiative, when does that start? We have been preparing the space, painting walls, moving furniture in and jazzing it up with greenery. Gemma wants to start some creative activity there by the end of July (fingers crossed), so you'll have to follow Eclectic Nest for the updates. It'll be great. We will be having coffee from Roastville in Marrickville and hose guys are awesome, so it's exciting times ahead. 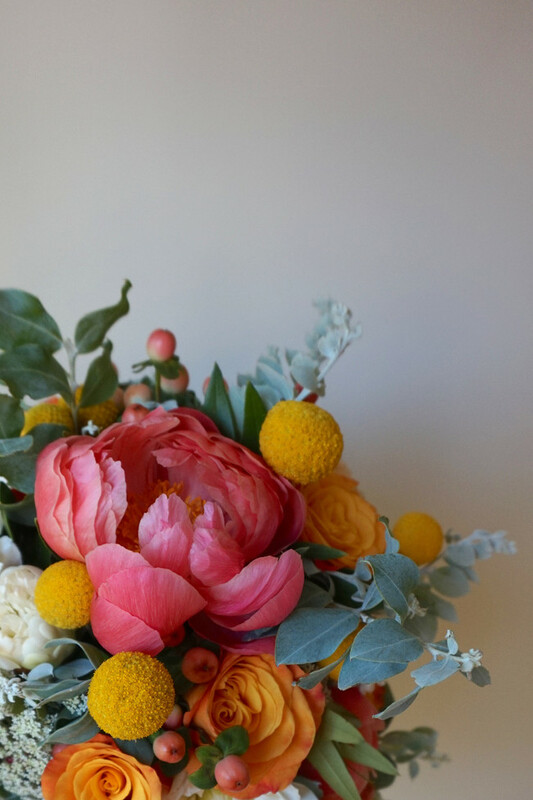 Any floral tips or tricks you can share with us? Get natives, they last longer! Change the vase water and cut the stems every day on your flowers. Also, plants have been scientifically proven to do amazing things including lighten your mood, increase productivity and concentration and reduce stress and they’re pretty, so add greenery to your house, desk and workspace! I love cooking and would be happy being a 1950's housewife. Is that bad? Being outdoors does something amazing for my anxiety. It shows me how vast and beautiful the earth is and how creative God is. Being outdoors really puts life in to perspective. Snowboarding in Queenstown. I try to go every year because it is one of the most beautiful places on earth and carving down a mountain makes me feel alive. Music and song writing, lame I know. But it's cool to look back and see how my songs are evidence of the way I am changing and growing. I love eating out. This should be higher on my 'favourite things' list. Travelling and exploring new places. 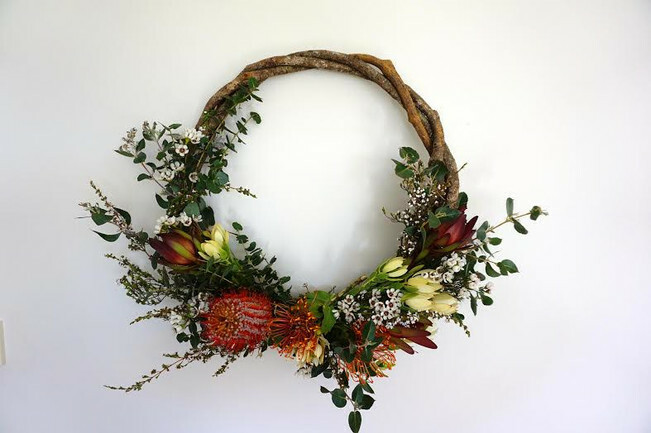 For more on Brushwood Floral Design, follow along on Facebook and Instagram.